Nineteen years ago this week – on August 6, 1996, to be precise – the Ramones played their 2,263rd and final concert. Today, while both the band and all its founding members are no more, their music not only survives, but thrives, both in the musicians it’s influenced and in its original form. 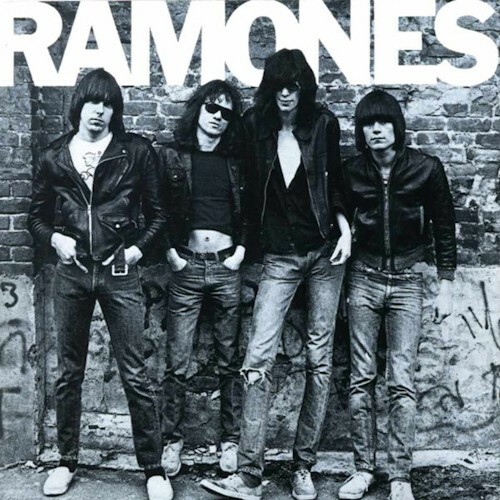 This week we’re celebrating the Ramones with a Full Albums post on each of their first five albums – Ramones, Leave Home, Rocket to Russia, Road to Ruin, and End of the Century. Look for covers of songs both immortal and forgotten, by the famous and the obscure – 66 of them altogether. We’re starting off with their self-titled debut, the result of certainly the best $6400 ever spent in music history.